The harmful algae that causes red tide is currently at near undetectable levels in Florida waters compared with the much higher concentrations at this time last year. The red tide algae, Karenia brevis, causes respiratory issues, is responsible for massive fish kills and is often blamed for damaging tourism. While traces of the bloom are always present offshore in the Gulf of Mexico, a new study published in the Journal of Geophysical Research-Oceans finds ocean circulation made 2018 the worst year for red tide in more than a decade. By affecting the nutrient levels offshore, marine scientists at the University of South Florida (USF) showed that the ocean circulation played a controlling role. If nutrient levels offshore are high in spring due to the upwelling of deeper ocean waters, then there tends not to be major red tide blooms along the shoreline in fall. Such upwelling did not occur in winter and spring of 2018, allowing a new bloom to form offshore in spring and summer 2018. An upwelling circulation then set in toward the end of July, ensuring that the newly formed bloom would be carried to the coastline along the bottom where it reinforced what had already been in place from 2017. Tropical Storm Gordon temporarily disrupted the upwelling circulation, allowing some of the new bloom to be carried to the Florida Panhandle. After the passage of Gordon, the upwelling circulation then allowed the bloom to be transported offshore at the surface to eventually be carried to the Florida's east coast by the Gulf Stream. Thus, the rare occurrence of Karenia brevis at three different locations (Florida's west, Panhandle and east coasts) may be attributed to the ocean circulation. "This further demonstrates that the ocean circulation is the major determinant of Florida's Karenia brevis harmful algae blooms, dispelling the myth that land-based fertilizers are to blame," said Robert Weisberg, PhD, Distinguished University Professor of Physical Oceanography. "While pollutants can exasperate an existing red tide, they are not the root cause." 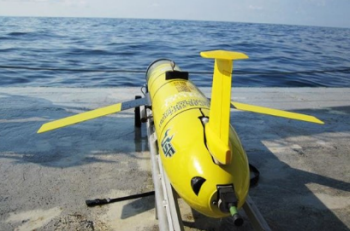 In addition to ocean circulation models, the team at USF and collaborators with the Florida Fish and Wildlife Conservation Commission (FWC) deployed an autonomous underwater glider for a near month-long mission. Its sensors detected relatively high chlorophyll and low oxygen levels near the sea floor, along with upwelling circulation. On-site sampling also helped pinpoint the initiation zone for all three regions to be the middle shelf some 30 to 50 miles off the coast from north of Tampa Bay to Sarasota Bay. Weisberg and his colleagues have accounted for the occurrence or lack of occurrence of major red tide blooms in 20 of the past 25 years based on the ocean circulation conditions. While recent sampling shows very low concentrations of Karenia brevis offshore, which is not a cause for immediate concern, it is too early to speculate on what future conditions may be. Weisberg expects to have a better idea of the possible severity of 2019's red tide season in mid-June. From choosing the right plants to volunteering on the beach, there are a variety of things Sarasota and Manatee county residents can do. Has the recent red tide bloom inspired you to find ways to help your community? Take a look at seven things you can do pretty much everyday to help. Sarasota County will host a free and open to the public Water Quality Summit from 1-6:30 p.m. Wednesday, June 5. The summit, which will be in the Riverview High School auditorium, 1 Ram Way, Sarasota, is an effort to bring the community together with organizations working to protect area watersheds and to learn about science and actions occurring locally. The summit's goal is to enhance the community's understanding of local and state efforts to address water quality issues. The summit will focus on the science of water quality and current local and state government programs and policies. It will also address ways the community can make a difference with suggestions for individuals, business and neighborhoods. "Water quality is a priority issue both locally and across the state," said Lee-Hayes Byron, director of Sarasota County UF/IFAS Extension and Sustainability. "We look forward to this opportunity for discussion with our residents and business who care so deeply about our local waters." Seating is limited and registration is required. For additional details about the summit and to register, visit scgov.net/waterqualitysummit or call the Sarasota County Contact Center at 941-861-5000. "One of the largest projects we have worked on" wrapped up 12 months ahead of schedule thanks to a couple of especially powerful suction dredges. TAMPA — It's the project that took nearly 20 years to get started, but only six months to finish. A $63 million dredging project to expand the Big Bend Channel at Port Tampa Bay has been completed a year ahead of schedule, the port announced Monday. The wider, deeper channel will allow for bigger ships to call at the port's 270-acre Port Redwing terminals, which are expected to become a new hub of manufacturing, warehousing and ship-to-shore cargo distribution. The Big Bend Channel connects to the main channel in Tampa’s harbor, creating a link for the movement of goods between the Interstate 4 corridor and markets as far away as China. More than 900,000 gallons of raw sewage flowed into Sarasota Bay after a violent December storm forced open a city pipe. Summer rain in Daytona Beach and equipment failure in Jacksonville each prompted more than a quarter-million gallons of human waste to spill from sewers last year. In Boca Raton, a pressurized pipe gushed out nearly 50,000 gallons of untreated wastewater, while another 55,000 gallons spewed from a DeFuniak Springs manhole into nearby Bruce Creek. These sewage spills are emblematic of failing wastewater systems across Florida, which is grappling with aging infrastructure and no clear solutions for funding a fix. During the past decade, deteriorating sewers have released 1.6 billion gallons of wastewater, much of it polluting the state’s estuaries and oceans, according to a GateHouse Media analysis of state environmental data. More than 370 million gallons of that was completely untreated. Experts say the sewage has fed the blue-green algae blooms wreaking havoc on Florida estuaries and exacerbated red tide in the Gulf of Mexico. Amid historic growth in Florida, environmentalists fear it will only get worse. From agriculture to storms, there are questions surrounding what factors actually influence red tide and its intensity. While much research still needs to be done on the life cycle of red tide blooms, representatives from Mote Marine Laboratory and the Florida Fish and Wildlife Conservation Commission share the science behind them. We explain the life cycle of a bloom, through its four known stages: initiation, growth, maintenance and termination. Also, we present some of the factors that can contribute to red tide blooms. Sarasota marine laboratory and Florida Gulf Coast University collaborate to address harmful algal blooms. Mote Marine Laboratory & Aquarium and Florida Gulf Coast University signed an agreement Thursday to start a partnership that addresses impacts of harmful algal blooms to Florida’s environment, economy and quality of life. The memorandum of understanding, signed by Mote President and CEO Michael P. Crosby and FGCU President Michael V. Martin, sets the framework for future collaboration on an issue that pummeled the region last year with a widespread red tide bloom that lasted 18 months. Karenia brevis is a single-celled plant-like organism that is carried to shore through environmental conditions such as wind and ocean currents. Scientists debate whether nutrient pollution, such as nitrogen and phosphorus, allows it to reproduce close to shore. The toxic algae prefer warm and calm salt water. When the red tide cells die, they emit a brevetoxin that kills sea life, including 589 sea turtles during the last episode — the most in any single red tide event — along with 213 manatees and 153 bottlenose dolphins since July 2018. The coordinator of the Florida Disaster Resilience Initiative and an Eckerd College expert on the mind’s processing of climate science will be among featured speakers at a two-day conference on climate change and sea level rise taking place April 5 – April 6 at St. Petersburg College. [Sea Level] Rise Up: Realities & Opportunities will be held at the SPC Seminole Campus Conference Center, 9200 113th St. N. Presented by SPC’s Institute for Strategic Policy Solutions and the Suncoast Sea Level Rise Collaborative, the conference will emphasize adaptation, resilience and opportunity as it assesses actions planned or already in progress by local governments and businesses to turn the impacts of climate change into positive economic growth. Dr. Michael D. McDonald will deliver a noon address, Tampa Bay’s Blue-Green Economy in Times of Sea Level Rise, on April 5. He is the architect of the Resilience Systems and Resilience Networks, which seek to rapidly expand information-sharing environments, open-data systems, and collective intelligence to improve health, economic stability, resilience and human security. The Senate Appropriations Subcommittee on Agriculture, Environment and General Government unveiled the Senate’s $1.7 billion environmental protection budget this morning and accepted it without comment. The environmental budget is part of a $5.9 billion package that includes spending plans for other state departments, including Business and Professional Regulation, Agriculture and Consumer Services, Citrus, Fish and Wildlife Conservation, the Lottery, Insurance Regulation, Financial Services, the Public Service Commission and Management Services. The southern end of Coquina Beach parking lot will close Monday, April 1, for several months while Manatee County improves stormwater drainage and parking conditions. The project is part of a two-phase project to reduce flooding at the popular public beach. Phase 1 is scheduled for completion by Spring, 2020. Once that project is complete, Phase 2 will begin with similar work being done on the north end of the parking lot. When complete, stormwater will drain more quickly, helping to address frequent flooding and standing water conditions at Coquina. Chad Butzow, acting Public Works Director, said the project also involves striping parking spaces for 865 vehicles. An indeterminate number of cars can park there now since there are no designated spaces. Phase 2 will not impact large parking areas like Phase 1 since it can be done in smaller segments over time. "This is a long term and much-needed project," Butzow said. "We all need this drainage improvement to have a top-notch beach parking facility." During the project, Butzow recommends beachgoers to use Manatee County Area Transit's popular Island Trolley to get to Coquina Beach. Riders can connect to the free trolley from MCAT's Beach Express route on Sundays and holidays. Gov. Ron DeSantis on Monday appointed a prominent biologist as the state’s first chief science officer, a new position the governor created as part of his focus on the environment. Thomas Frazer, director of the University of Florida’s School of Natural Resources and Environment and former acting director of the UF Water Institute, will take the job in the state Department of Environmental Protection. His initial focus will be water, particularly the algae blooms that have plagued parts of the state’s Gulf and Atlantic coasts, affected fishing, swimming, tourism and wildlife. Frazer said he understood that addressing the water problems would be his priority. The Federal Emergency Management Agency will conduct two open house forums to discuss updated flood zone maps that could affect thousands of property owners. “It’s very important people affected by this show up,” John Barnott, the county’s director of Building and Development Services, said. The meetings at the Bradenton Area Convention Center are property owners’ opportunity to discuss with FEMA whether their flood zone status has changed and file objections if they disagree with FEMA’s findings. Postcards about the sessions have been sent to property owners affected by the maps, which were last updated about five years ago. The new maps go into effect next year. Manatee imposes building requirements that are more stringent than the state, Barnott said. Yet many older neighborhoods, which have homes at low elevations, can be prone to flooding, he noted. If they did not receive a postcard, property owners can type their address at mymanatee.org/floodzonechanges to determine whether their land is now regarded as vulnerable to flooding. That status will determine whether the owners should have flood insurance. Flooding is not covered under standard home insurance policies. A documentary film about a greenway corridor between the Tampa and Orlando areas will screen for free at Tampa Theatre on Thursday, April 25, followed by a panel discussion among local thought leaders. The Last Green Thread tells the story of the April 2018 Heartlands to Headwater expedition three friends made along the thin green band along the Interstate 4 corridor that connects two of the state’s largest wetlands systems- the Everglades’ headwaters just south of Orlando and the Green Swamp just northeast of Tampa. INDIAN ROCKS BEACH – Harmful algal blooms (HABs), commonly known as red tides, are natural phenomena that have occurred in the Gulf of Mexico throughout human history. Last year’s red tide, which started in 2017, was a particularly epic incident that killed fish and other precious marine life, along with much tourism-driven business along the west Florida coast. In response, Pinellas County and the City of Indian Rocks Beach held a Red Tide Summit March 28th at the Sheraton Sand Key resort in Clearwater. The USF College of Marine Science (CMS) panelists included Dr. Robert Weisberg, Distinguished Professor, and long ago CMS grad Kelli Hammer Levy, who managed a highly praised response effort to last year’s epic spill in her position as Division Director for Pinellas County Environmental Management. Weisberg explained that ocean circulation determines the location of a red tide. Levy recalled that when signs of the bloom came to bear, she called Weisberg, who warned that based on his models this was likely to be a “significant event.” Indeed it was. After reviewing the county’s impressive response to the spill, Levy asked the audience to commit to reducing nutrient pollution. Toxins produced from nasty blue-green algae made an appearance in dead dolphins that tested positive for brain disease. The Miami Herald reports a University of Miami study found in all but one of the 14 dolphins it examined, the BMAA toxin was detectable in those that showed signs of degenerative damage similar to Alzheimer's in humans. The one dolphin died from a boat strike. Researchers are trying to figure out to what extent the algae's toxins, which have plagued Florida's waterways in recent years, threaten human health. It is concerning enough as dolphins are considered a sentinel species -- one that could give warning of issues that might affect humans. The commissioners and county engineer Tom Gerstenberger talked in depth about the subdivision’s stormwater retention capability. Commissioners said they did not want to worsen conditions for Centre Lake, a subdivision in the vicinity that flooded during heavy rainfall in August 2017. The subdivision plan calls for a 4.8-acre “stormwater management area” in the center of the development and a 7.3-acre “flood compensation area” between the homes and Pearce Canal. Although runoff from the property could still occur from a major storm, Commissioner Misty Servia said the retention standards — which are more strict than when Centre Lake was built — should substantially lessen the amount of that runoff. Scott Rudacille, an attorney for Belleair Capital, said the developer will construct a sidewalk to connect the subdivision with nearby Kinnan Elementary School. On August 27, 2011, Hurricane Irene crashed into North Carolina, eviscerating the Outer Banks. The storm dumped rain shin-high and hurled three-meter storm surges against the barrier island shores that faced the mainland, destroying roads and 1,100 homes. After the storm, a young ecologist then at the University of North Carolina at Chapel Hill named Rachel K. Gittman decided to survey the affected areas. Gittman had worked as an environmental consultant for the U.S. Navy on a shoreline-stabilization project and had been shocked to discover how little information existed on coastal resilience. “The more I researched, the more I realized that we just don’t know very much,” she explains. “So much policy and management is being made without the underlying science.” She decided to make shorelines her specialty. What Gittman found was eye-opening. Along the hard-hit shorelines, three quarters of the bulkheads—typically concrete walls about two meters high that are the standard homeowner defense against the sea in many parts of the country—were damaged. Yet none of the natural marsh shorelines were impaired. The marshes, which extended 10 to 40 meters from the shore, had lost no sediment or elevation from Irene. Although the storm initially reduced the density of their vegetation by more than a third, a year later the greenery had bounced back and was as thick as ever in many cases. Gittman’s study confirmed what many experts had begun to suspect. “Armored” shorelines such as bulkheads offer less protection against big storms than people think. By reflecting wave energy instead of dispersing it, they tend to wear away at the base, which causes them to gradually tilt seaward. Although they still function well in typical storms, they often backfire when high storm surges overtop them, causing them to breach or collapse, releasing an entire backyard into the sea.